Update: Is the current baseline dividend yield 10% or closer to 6%? Here is an addendum to this original post. 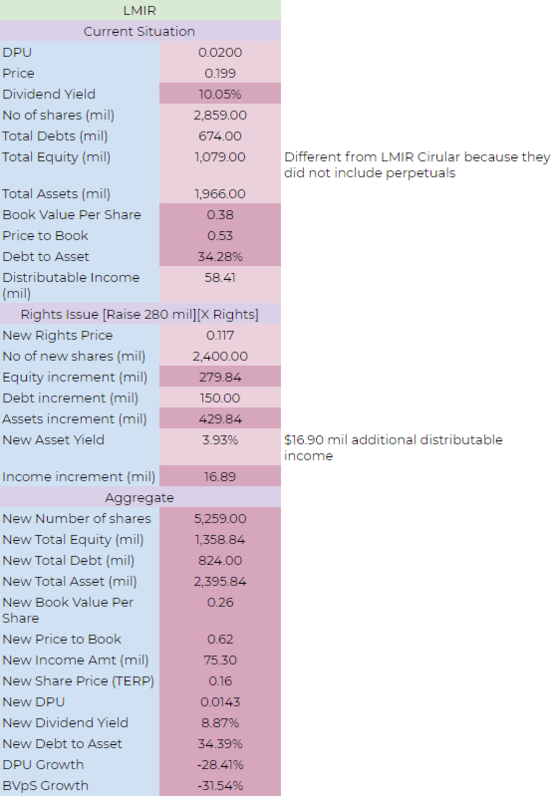 Some readers have commented that LMIR’s dividend per unit have been dropping over the quarters. And based on the recent dividend per unit of 0.30 cents, the dividend yield should be closer to 6%. 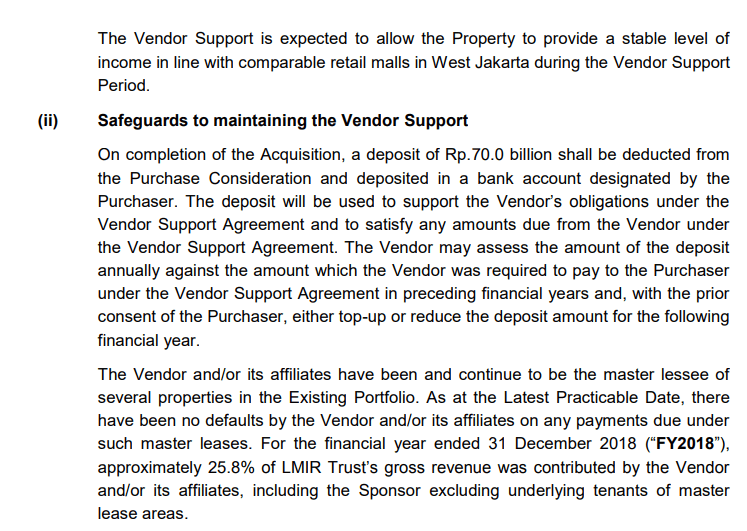 I wrote a follow up post exploring this: Did I (and Lippo Malls Retail Trust’s Manager) used a Distributable Income that is Too Optimistic? The conclusion is that well, perhaps I missed out on this, but if we look at the reason for the Q3 to Q4 fall in DPU it might be attributed to foreign currency exchange reasons then the business aspect of things. I am not sure how long that will last. I think it will be safer to use Q3’s dividend per unit, which will work out to an annualized 2 cents. This is similar to this analysis. Or we could work with an average of Q3 and Q4’s dividend per unit, which will result into a dividend yield of closer to 8%. Either way, the reworked figure shows that the purchase is still not dividend yield accretive. Manulife US REIT last week announced their full year 2018 results. I was able to have the opportunity to listen in on the earnings results during a brief for the media. My friend B from Forever Financial Freedom have wrote his experience at the Full Year results brief. I think he covered most of the points of discussion from the meeting. I am not sure if I am slow to this, but I was informed that they have also put up Webcast on their results brief on their Investor Relations page. 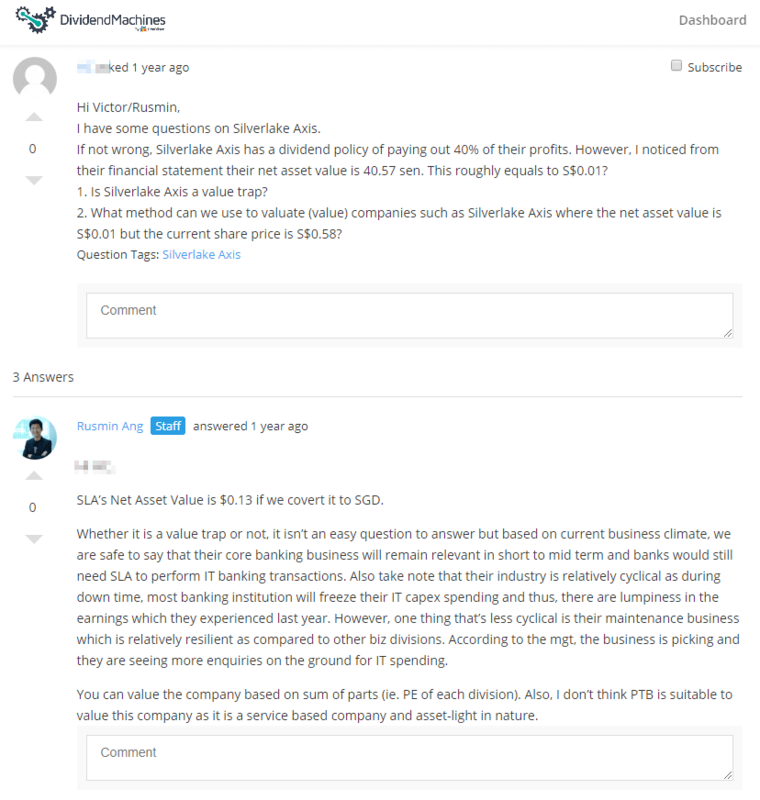 I think the analyst raised some good questions and it might be beneficial for you to check it out if you are a longer term investor. I think what I will do is to cover some points that might not have been discussed in the 4 articles above, or relate to this quarter’s results. The portfolio performance for this quarter is good. Gross revenue rose 38%, Net property income rose 38% and distributable income rose 33.8%. Much of the great growth was attributed to the full year contribution of Exchange, Penn and Phipps. Due to rights issue and preferential offering, the REIT’s outstanding share base have increased. As such the distributable income would be less meaningful. 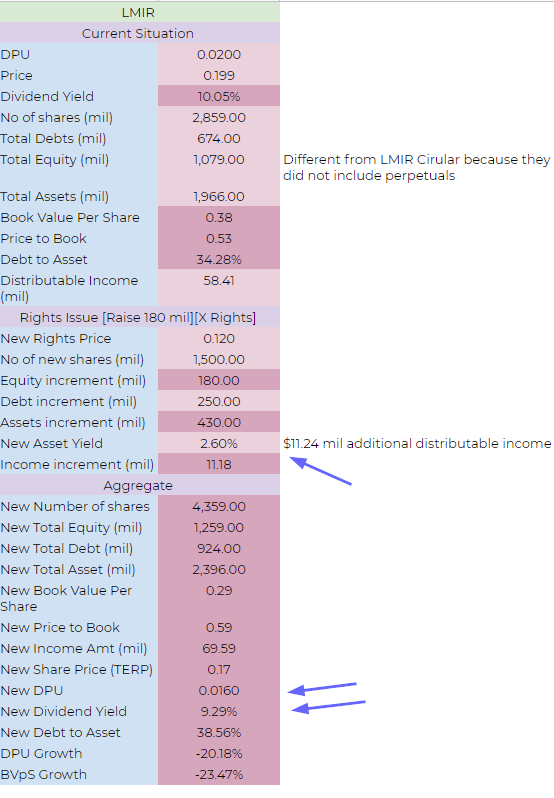 Hence the manager presented an Adjusted DPU which show how the DPU would look like, if we had full contribution from all assets, and factor in the enlarged asset base. This is always a problem with REITs that does a lot of these equity financing. It becomes a challenge to figure out what is the dividend yield. Some months ago, I got into a discussion and was told using these adjusted figure is “not conservative”. I mean, yes it might not be conservative and I could possibly throw a random DPU of 5 cents. However, would that help yourself if realistically you know the forward DPU is closer to 6 cents, yet we use a historical conservative figure? You could possibly use 5 cents if you are trying to find that margin of safety. If at 5 cents DPU, Manulife yields 7% (which it did at one point not so long ago) then this is attractive! If I put out a figure on my Dividend Stock Tracker, I have some limitations. I cannot cater to everyone. So I try to the best of my ability to put a figure that I think, going forward it is realistic. 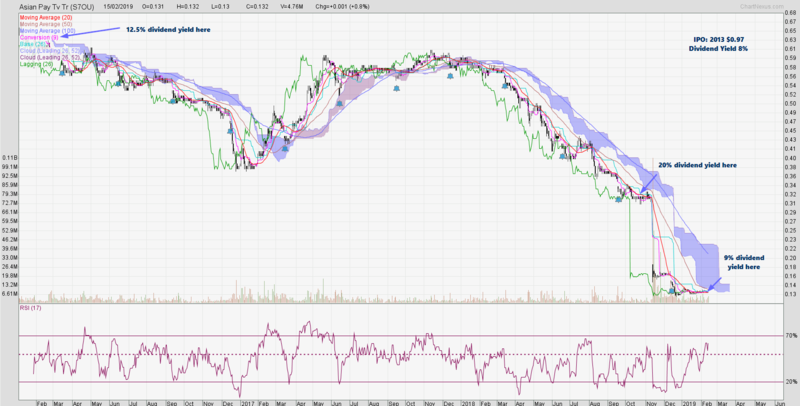 I think back to the DPU, we could have annualized and project going forward, next year’s DPU to be 6.16 cents. However, judging by this up and down per quarter trend, take it as 6 cents or 6.04 cents might be more conservative. So that leaves us with the 30% expiring lease at Michelson. For a relatively new REIT, we have no idea whether they are able to manage this aspect well. 30% of a building is potentially high impact. So that is why I listed this as an uncertainty. We got hints during the last results brief that there was good news. And the manager certainly didn’t disappoint. Hyundai renewed their space for 11 years. There is a built in 3%/yr annual rental escalation. This is not reflected in the WALE, which stayed at 5.8 years, because this new lease would only be reflected in FY2019. Per KGI report, Michelson’s WALE will jump from 3.4 years to 5.4 years due to this renewal. Actual rents were not disclosed, but management have indicated that current passing rents, due to the annual rental escalations, have outrun the market rent. So we do expect that the rent revenue from Michelson to be lower. We do not know the extent of the negative rental reversion but you could use a few figures and do a sensitivity analysis. Renewing the Hyundai lease would reduce 2019’s expiry from 10% of Gross rental income, to 5.5%. So the impact to gross income is 4.6%. Assuming it’s a -10% negative reversion, this would be a 4.6% x 0.10 = 0.46% impact to the REIT’s top line. With an average overall portfolio rental escalation (annual rent revision + mid-term rent review) of 2.1%/yr, next year’s gross income growth should cover this. If we look at it another way, in 3.5 years, the rental escalation will result in the passing rent to be where it is now. What the REIT get is they do not need to worry about this big lease for the next 11 years. According to management, Hyundai got the prime floors of 17th to 20th floor of the building. I think we would be seeing some changes to the way some of the data is presented. While in the past (Q2), we see some disclosure of the average gross rent for each of their buildings and perhaps which buildings have leases that are expiring, the manager has decided to change the way they are presenting. Ging Wien from ProButterfly wanted to know that for the lease expiry, the percentage of expiry for each property. Jennifer, the Chief Investment Officer, explained that the leasing scene in the States, is very competitive. If you put it out that in Peachtree, 40% of your tenant will have their lease expiring in 2020 for example, you will see your competitors move in on your tenants. Thus, the manager has shown some of these data in the past but they are re-aligned with local REIT managers not to show it. This is also to maintain their edge. I can see where Ging Wien is coming from, and having these information disclosures will help give us clarity on the REIT. However, if you give so much info, and if what the management said is true, then as a shareholder, you might be shooting yourself in the foot. Ultimately, if you trust the manager, you do not need so much disclosure. However, to build that trust, you first rely on the numbers to tell you whether they are doing a sensible job. Management updates that one of the reason for the “secrecy” is that they are in advance negotiation for a major lease. We are not sure which is this but let me try to guess. Michelson have a NLA of 535,000 sqft and 30% are expiring in 2019. This comes up to about 160,500 sqft. Since Hyundai renewed 97,000 sqft, I suppose there is still like 62,000 sqft worth of space at Michelson that needs to be renewed. So let us see if we have some good news there as well. The management updated that they have spent US$8 mil to improve Figueroa on their Lobby, Gantries and New Café, and US$12 mil to improve Exchange on their lobby, Security Desk and LED Lighting. That is almost 1 quarter of distributable income spent on AEI, but management feels that this is defensive. In one research article, there are evidence that if AEI was performed and kept competitive, the availability is -9%. For those who didn’t do the effort to keep their building current, the availability is +2%. Jill, the CEO, updated that usually this kind of AEI should last the building for 10 to 15 years. Management couldn’t put a value to the performance of the AEI. I guess we shouldn’t view the AEI to be similar to that of sale and leaseback industrial buildings in Singapore. In those industrial buildings, the AEI was carried out, with a tenant committed to rent at a higher rent. So the return on investment is clearer. 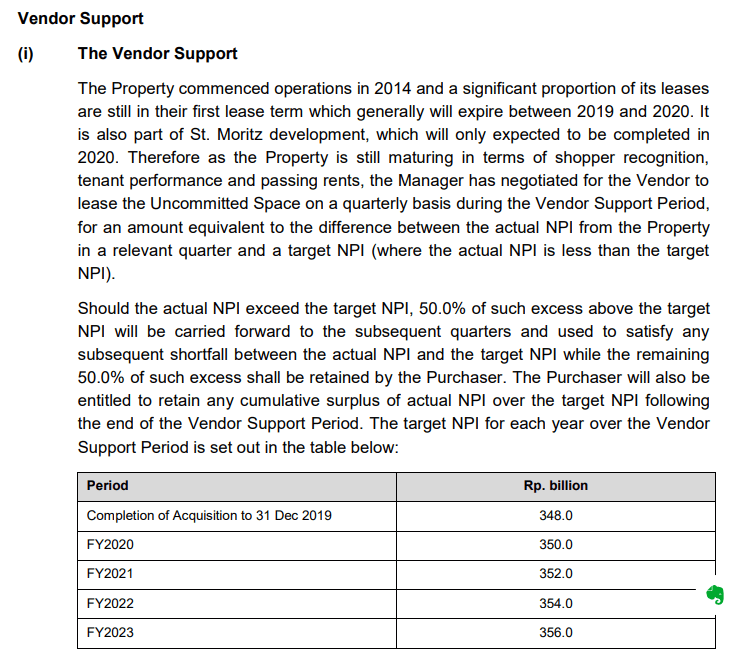 In July 2019, Manulife US REIT will have US$108 mil worth of debt, secured on Figueroa reaching maturity. The interest rate was 2.39%. With the rise in interest rate, it is almost certain that management would have to refinance at an interest rate close to 4%. In Oct 2018’s article, I guided the average then was closer to 4.39%. The CFO, Jagjit Obhan explained that one of the good thing that came out of the Tax Cuts and Jobs Act in 2017 was that the REIT’s properties are no longer affected by Thin Cap rule (refer to my article here in one of the section, where I explain more in detail). The TL DR version Is that the Thin Cap Rule was in place to prevent a lot of shell companies that take on a lot of leverage to funnel money out of the USA. With the tax code changes, this is not needed anymore. This means that the REIT’s debt need not be secured to an asset. The management proceeded to unencumber the properties. This is a very good thing for the REIT as it will give the REIT a lot more financial flexibility. The management is exploring different financing options. This includes exploring financing options in Singapore. In the past it was rather difficult as a new company to get favourable financing in Singapore, but they manage to overcome that. Management have guided that recent local quotes range from 4.1 to 4.15% for a 5 years duration fixed USD loan. DBS analyst guided a conservative range of 4.50 to 4.75%. An analyst was asking whether management would consider refinance to floating rate debt, so that the cost of debt is lower. Jagjit explained that the spread between 2 year LIBOR (2.52%) and 5 year LIBOR (2.54%) is so thin that the REIT will have no benefit by refinance to floating rate. They would rather lengthen the fixed rate loans as much as possible so that the interest expense be more predicable for planning. They see more benefit to grow the net property income so that the spread becomes wider. In my previous article, I gave some illustration how the interest rate is staggered so that in the event of a gradual rise in market interest rate the average rental expense rate will take a gradual rise. The interest expense will be offset by organic rental growth, and possibly inorganic acquisitions, such that the overall income yield will still be rising. The actual implementation by the REIT might differ from this. As you can see the refinance rate of 4.15% might be lower than my projection. Based on what I know about the management; they will not purchase an asset without ensuring certain quality to the asset. Their assessment includes the location, the quality of the building, the amenities around the property, the quality of the tenant and whether that is the tenant mix they want. 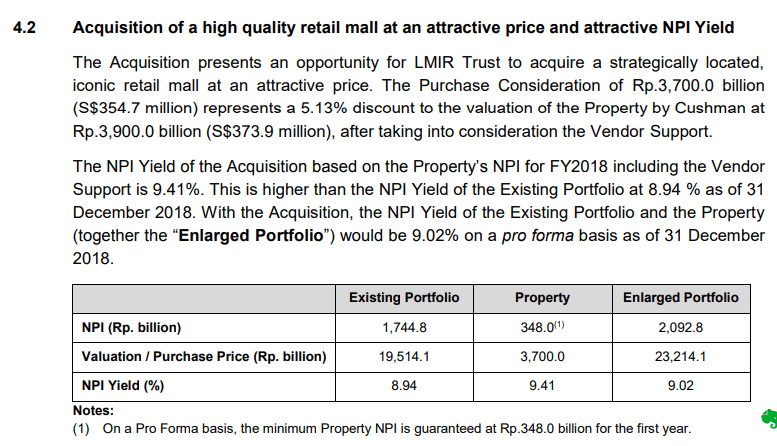 With that, I was curious whether with Manulife US REIT’s dividend yield at 7%, whether there are acquisition targets that is accretive but also matches the above mentioned quality. In the Q4 slide deck, management included this slide to show the CAP rates of Class A properties in various states. 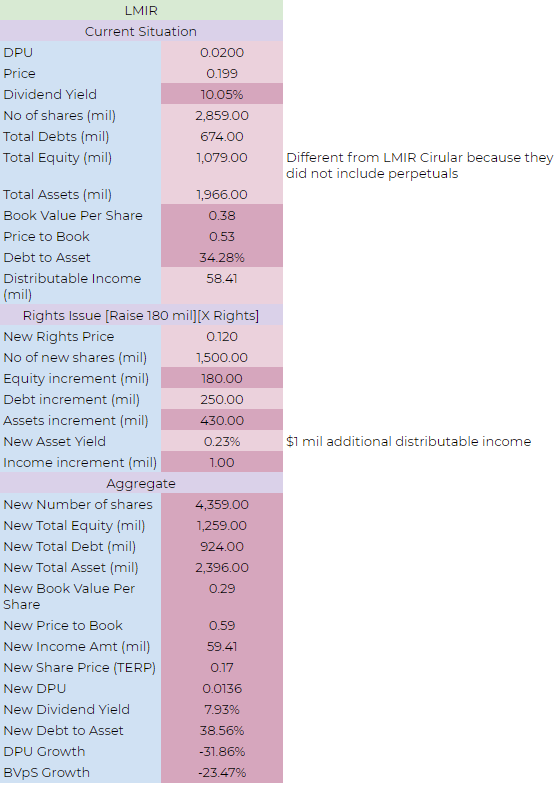 When the REIT’s dividend yield is at 8%, acquisition might be challenging but at this point you can see them working a deal with 50% debt and 50% Preferential Offering or Placement and it would be accretive. Those new to Manulife US REIT such as Kenny (Marubozu) and Ging Wien (ProButterfly) again explain their preference for placements instead of a discounted rights issue. Management also updated that, during the sell down due to the tax uncertainty, it was mainly the family offices that were selling. The institutional investors were the one that is picking up on the cheap. So they do have a mix of institutional investors which will make it more conducive for the management to do a preferential offering, or place out new shares to other institutional investors. This will likely not create more uncertainty in the share price compared to a discounted rights issue. Due to the rather intense competition in United States, if they are able to secure funding fast, it allows them to close good deals, rather than missed out on that. And this is why those REITs who are able to do placements will have an advantage. The way that I look at it, if the share price approaches US$0.90 again and if the perpetual market is conducive, I can see them making an acquisition that non rights issue. The management is likely to put to shareholders, to give them the ability to do share buy backs in the upcoming AGM. Management would also like to know what we think of DRIP. Marubozu explained that DRIP would likely be more helpful for the institutional investors but for the retail investors, it is rather challenging because it would create odd lots. Ging Wien suggested that the REIT should take a precedence to lower their pay-out ratio. As a REIT, the company have to pay out 90% of their income. However, usually the cash flow is more than the income. 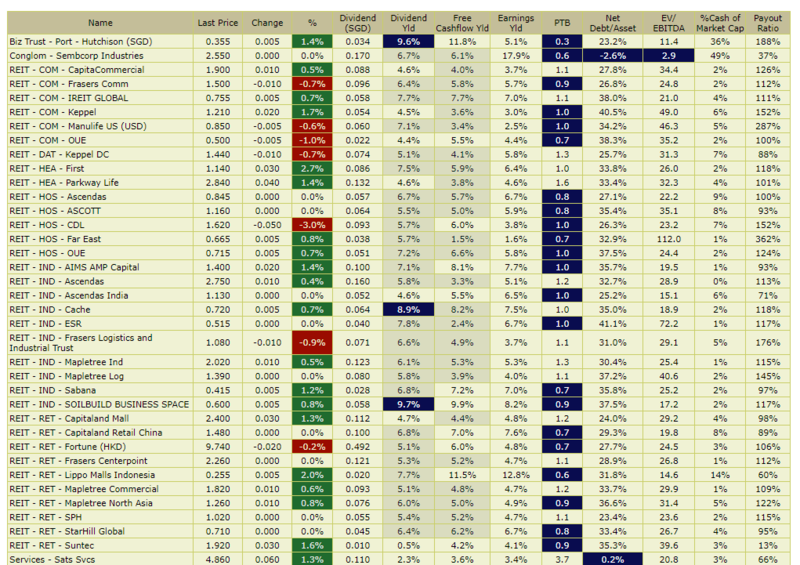 Ging Wien observe that Singapore is the odd country where the REITs paid out almost all the cash flow. With a low pay out, and the cash conserved, it would allow the REIT to grow at a much faster rate. My view on this is that, the benefits of DRIP, share buybacks and a lower pay-out ratio is limited. The amount that you saved up is not even enough for one acquisition. There are benefits if you have a consistent DRIP program, a share buyback mandate but also paying more management fees in cash. You will gain a lot of flexibility to smoothed the DPU when you need it. This is how Frasers Commercial Trust is able keep the DPU stable when China Square Central underwent AEI, which reduced their occupancy, and the reduction in occupancy in Alexandra Technopark for 1 year. They basically could get their parent FPL to take shares instead of cash dividend, take management fee in units instead of cash and use the cash proceeds from selling the rights to building the hotel at China Square to sustain a big difference in rental income. This is one of the reason why DBS guided a more conservative and lower DPU than the adjusted DPU figure announced by the manager. They are being conservative that, the debt refinancing would reduce the DPU, Michelson lower future rent. But the main point is Manulife US REIT paying 50% of their fees in cash instead of 100% in units. In my opinion, it might not be the low dividend pay-out ratio that made those REITs in USA grow. It is likely of that good quality assets domino effect. The REITs either own a portfolio of good properties that are in demand, have a long WALE. With that, they are able to secure long term debt financing. This profile, increases the demand of the REIT, and so the dividend yield is compressed. This makes acquisition much easier. The low dividend pay-out has an advantage in that you can show that your DPU will always increase. This is somewhat similar to the concept of dividend aristocrats, which is a group of dividend stocks that were able to consecutive raise their dividend per share over a long period of time. If your pay-out ratio is low, and slowly raised pay-out, people think that the dividend is safe, when in reality a part of your potential dividends were retained. Due to the size of some of these REITs, they are able to use the retain cash flow to do development. This adds on to the growth. IREIT global tried to do this by reducing their dividend pay-out ratio to 90%. They retained the cash, but since Tikehau took over the REIT, they have made zero acquisitions with those cash. I think they could take another approach. Build up a portfolio of good quality assets with very long WALE. Match that with longer term financing. This kind of stability and attractive dividend yield, act as an attraction to institutional investors who needs these kind of assets. The demand increases, the dividend yield gets compressed. Due to the quality of the asset, the property value gets revalued upwards. This creates more room to purchase accretive assets. In this model, the high dividend pay-out act as a form of signalling. This strategy will only work out well in the long run if the portfolio is real quality. If the quality of the property, manager, and tenant based is lacklustre, such a strategy will collapse like a house of cards. I think overall, the results didn’t come as a surprise. A US 3.04 cents dividend was declared, which averages US 1.52 cents per quarter. The challenge is to guess what would next year’s dividend per unit be. 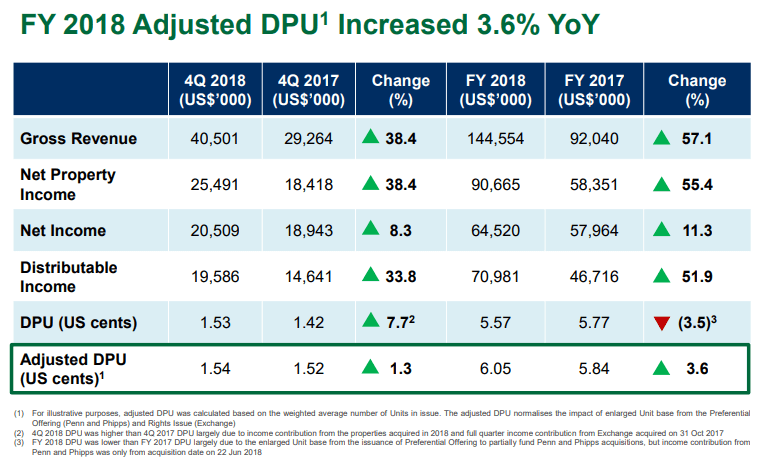 Manulife US REIT’s DPU would be affected by approximately 1% more due to the change in Barbados tax structure, the lower passing rent of Hyundai’s lease. They will also be affected by a higher interest expense from Figueroa’s refinancing. Based on my simulation, they could possibly see a 0.28% rise in interest expense. If you add these 3 up, the impact could possibly be -1.74%. I do think they organic rental reversion of 2.1% could offset this. It is certainly better to write a review without covering so much uncertainty in a REIT. The bad part is that share price seem to have recover, and that would mean prospective investors or investors who wish to increase their stake would find it hard to do so. We would have to hope for another mispricing opportunity. At 30 years old, I had 6 years of investing under my belt. But my returns was heading nowhere. One of the main reasons was that I was trying a lot of different things. So I told myself, its time not to mess around anymore and try one method that I feel goes best with my character. Then I doubled down on it. I lean towards investing for dividends. And what a friend said about respecting value makes sense. 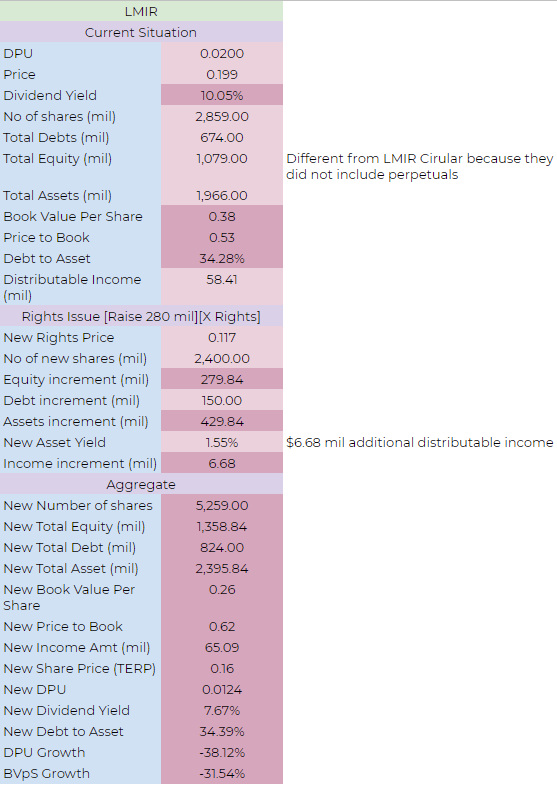 So I doubled down on value investing with a focus on finding dividend paying companies. I been doing that since then, and regular readers would know where to check how I am doing. Why Investing with a Tilt Towards Dividends? Dividend investing has a lot of appeal, and I think the reason is that people likes to be validated that they are slowly getting a cash flow payout from their investment. This has a lot of similarities to the Asian concept of owning land and leasing out to farmers to grow crops and living off it. It is a very passive form of income. At this stage of investing, I wouldn’t compartmentalize the way that I invest to be called dividend investing. I prefer to call it active stock investing simply because I invest in stocks and I take an active approach. Perhaps the main difference is that I use the dividend payout as an indicator, as well as a cash flow remuneration while you are attracted due to its cash flow payout. There can be a particular danger if you are enamored with the dividend component. If I need $20,000/yr, I could just put it in Asian Pay Television Trust (APTT) and I would only need $200,000 to achieve that. There are some deeper knowledge that, if you didn’t know that you need these knowledge, it could be dangerous. And that danger can very well be an impairment of 20-30% of your capital. This will be difficult to gain back when the cash flow do not support the dividend payout. It will take many many (and I say many) years to recover. On $200,000 that is $60,000 impairment. The price chart above shows the 3 year price change of APTT. Observe that at IPO, in 2015, or as recently, if you have invested at these period, your initial dividend yield will be damn appealing. They would fulfill the income you need. However, overtime, the share price goes on a tailspin. While the prevailing dividend yield is always attractive (and even after this plunge it is attractive as well!). You would have lost a lot of capital while you gain dividends. Is this how dividend investing suppose to be? I would say dividend investing can be volatile, but if you are more sophisticated, you can avoid some of these companies. If not, a more sophisticated dividend investor would bite the bullet and escape this. Look through my past transaction logs and you would see I was invested (not just APTT but in its original form MIIF). I am also human. But increasing our competency can help correct some of these mistakes. These are not scary case studies that only occur to a small subset of people. As I have written about this in a previous post, APTT and Rickmers case study is common, attractive and can turn out to be rather unfortunate. It is not all doom and gloom. Sophistication allows you to spot companies that pay out a decent dividend yield, yet has the ability to grow their dividends. What you see above is the historical price chart of Chip Eng Seng, a construction company, which eventually went into property development. It might not be the ideal dividend stock but you can see yourself prospecting a stock like this and get invested in 2005 based on a 6.5% dividend yield per year. Over time, its earnings expand and they pay out more dividends. The annual dividend yield on your original cost became 12%, then 15% then 34% then 52%! Who says if you go into dividend investing, you forgo growth? Focus on having a good dividend investing system. And this brings us to Dividend Machines. If you wish to learn from me, you can take a look at my resources section. These are usually not very comprehensive since I don’t kill myself to create a bunch of modules for you guys. If you wish to learn about dividend investing, there are a few training centers that offer affordable classes. One of them is Dividend Machines offered by Fifth Person. 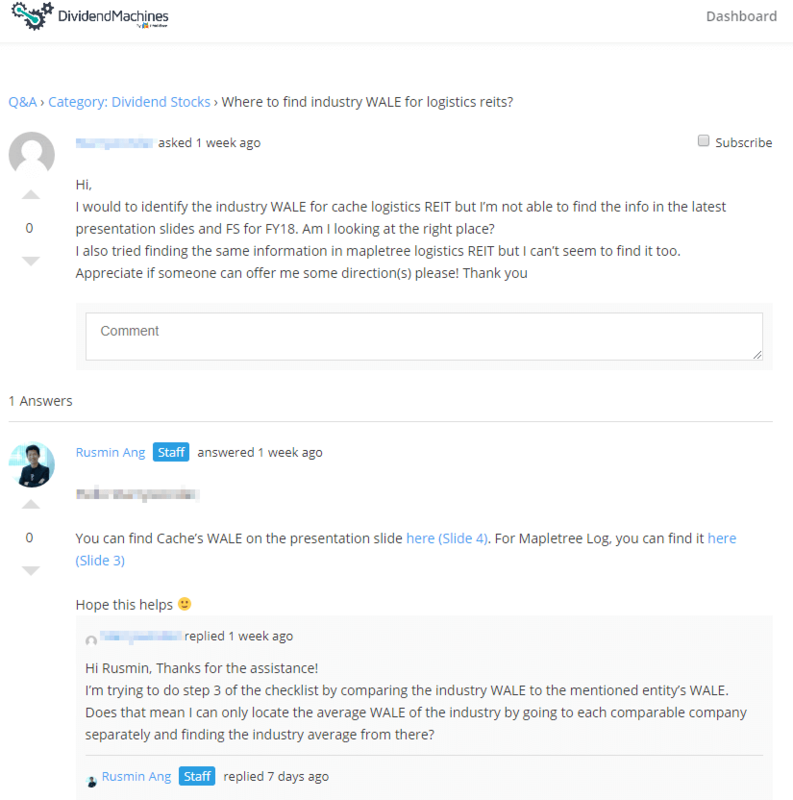 My friends Rusmin and Victor started this course some time ago, focusing on providing the necessary resources for investors who wants to invest in dividend stocks to be well equipped to deal with that. The course is conducted in an online manner. The fourth module goes into the Mumbo Jumbo of REITs, which happens to be a popular subject. The final module ties everything together and shares with you how to manage the stocks from a portfolio perspective. You will learn about how much dividend stocks you should have. You will learn about how heavy you should concentrate or whether you should do that at all. And whether you should do margin financing on your dividend stocks. The curriculum is online, which means you do not have to rush to classes when your boss wants you to work longer. Or when your children suddenly fall sick. It is more flexible for the modern employee. The best way to learn is to clear your doubts. As you critically think what is right and what is wrong, you have more doubts. As you get each of these doubts addressed, you will gain confidence in how you an go about executing a plan to create a dividend portfolio. You can also grow by paying attention to what your fellow trainees queries and the answers to them. Sometimes you do not know what you need to know. So when your fellow trainees raise a question and you come across it, you become conscious about it. I realize from my friends that people still prefer the human interaction. While technology can provide such an advantage to make learning interactive and flexible, people still prefer to interact in a face to face manner. Dividend Machines will organize all access workshops. In these workshops, you can hear the trainers present their recap on course materials, what you should focus on, and some common mistakes. You can also get the chance to talk with the trainers and revisit the curriculum. It is a full day event where you can interact with trainers, who will revisit the action plan. The trainers will highlight certain more important nuances of the action plan that you might missed out (if someone keeps repeating something, it might sounds lame, but its probably important enough to keep repeating!). You can also ask them what you are unclear about. In 2018, Rusmin and Victor hosted 8 such sessions last year and if you are a Paid Member, you have access to these workshops. However, these workshops is on a first come first serve basis so when they are available do register them early. Dividend Machines is Now Open for a Limited Time! As with past Dividend Machines, you can only sign up within a limited duration. On last count you should have 20 days more, as it will close on 10th Mar, 11:59 PM. Given that you pay this one time fee and have access to content that will be updated annually, and that have access to trainers virtually and live, this is a very good deal. And if after 30 days you are not satisfied with how the course turned out, there is an iron clad Money Back Guarantee. This gives you a piece of mind to sign up. Guys some of the links above are affiliated links. When you click on the links, I earn a commission at no additional cost to you. I believe you will gain value out of Dividend Machines if that is what you are leaning towards in terms of wealth building at a good price range. 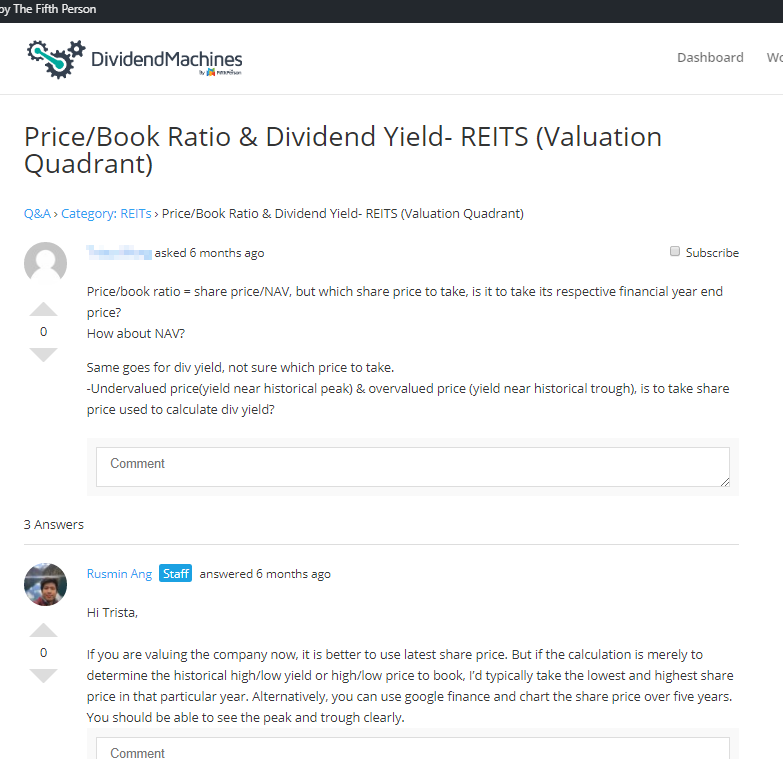 In any case, I am part of the Q&A group in Dividend Machines as well. Let me know the feedback for the course so that I can improve the recommendations. I thought its good to do a quick recap to see where we are currently when it comes to the REITs scene. Last year, there the main narrative was the rising interest rate making REITs less attractive as an investment to be in. 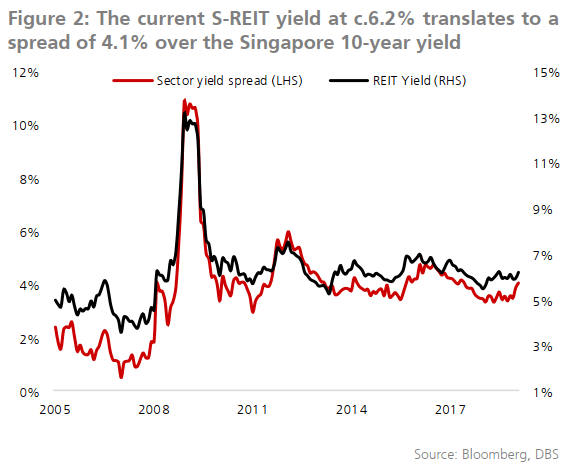 What we observe is that despite the rising rates, Singapore based REITs, particularly those with strong sponsors held up rather well. There could be two reasons ( I say could because we are never very sure) one is the strength of our currency and that these REITs are known in the region among the institution to be good quality. 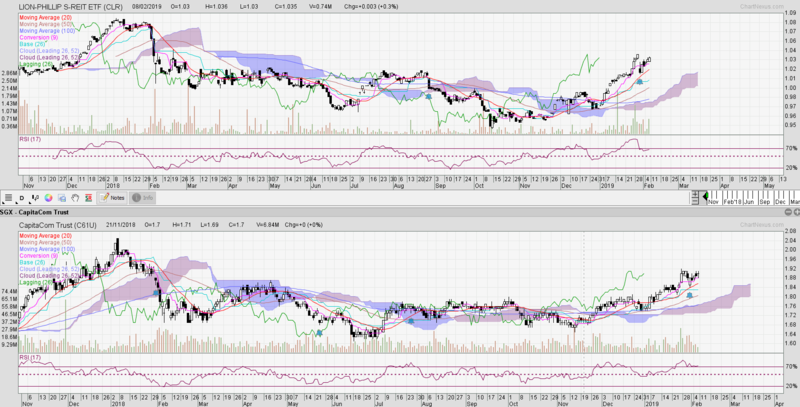 These two reasons probably make these REITs with Singapore based assets defensive in hindsight. Those that hold foreign assets, or denominated in foreign currency, had some wild volatility. For those holding on, such as myself, it doesn’t behave like the kind of assets you think it should be behaving. Back then my thinking was, interest rates tend to be volatile, its just whether its a secular trend heading upwards or that there would be more volatile gyrations. I lean towards that the scenario that there will be some point where the interest rate will take a breather. Even then, we are not sure how the REITs will react. Even before the Fed pause the rates, the REITs have recovered. Some of them going up as much as 15%. And we got to the point where we will say, they are now overvalued. Or are they? The chart above shows the Lion Philip S-REIT ETF, which is a Singapore REIT focus ETF listed on the SGX. 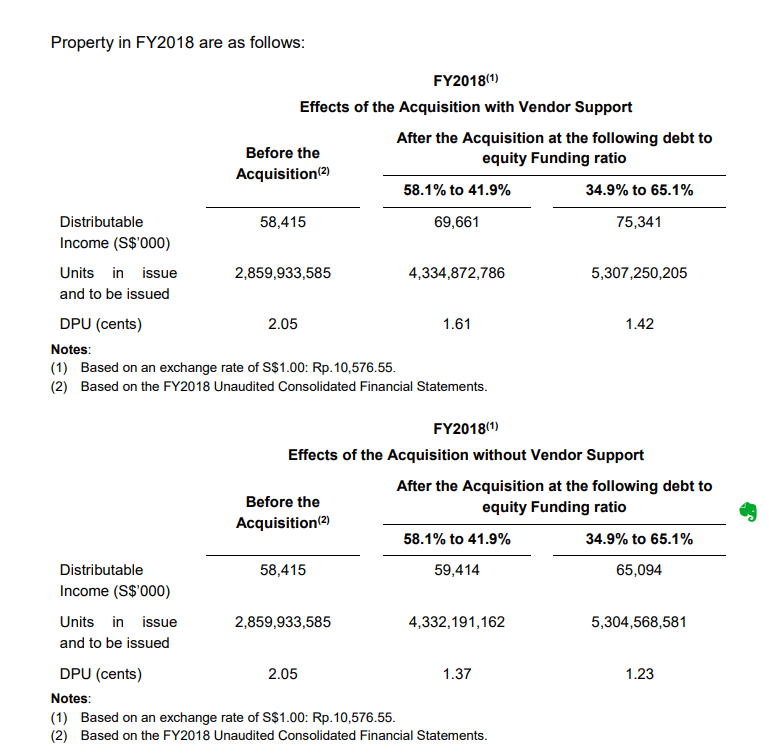 I was checking out the price, and decide to layer it with one large market cap REIT in Capitaland Commercial Trust. You realize the price movement are pretty similar. The magnitude is different though. I got a feeling you could get an ETF exposure with the top 5 market cap REITs in Singapore. Or you can do it the other way. As you look at the chart, you might have different philosophical thoughts. What goes through my head is that, hey, even as an ETF, it is volatile, but within this volatility its +8% or -5%. The volatility of the ETF is smaller than holding a lot of individual stocks. Unless there is a credit cycle turn (which could really affect the fundamentals of the REITs), you will get this kind of gyrations and earning 4.8-5.2% per year. You just hope that the outlook for these property assets are upwards instead of downwards. Those who judge the REIT ETF over a 1 year period, probably are looking at things the wrong way. 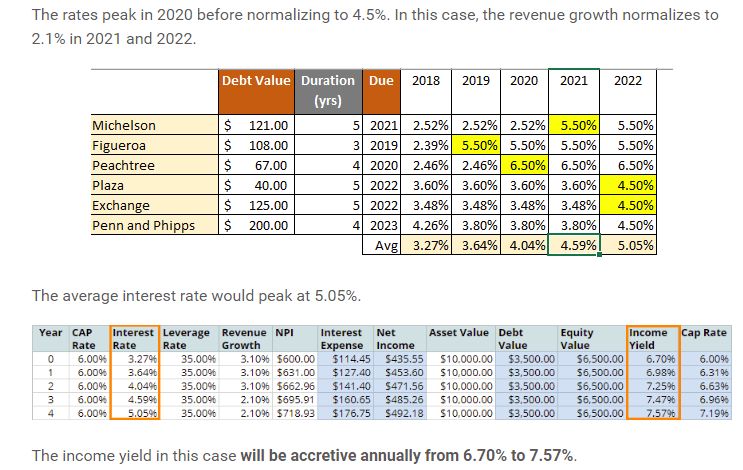 There are comments as to the dividend yield probably closer to 4%, but my friend Turtle Investor have highlight on his blog that the management might be moving into a new semi annual payment schedule. If we pro rate the dividend paid out, I think it should come up to 4.8% based on the IPO price. How is the valuation of the sector now? I came across this DBS Chief Investment Office article where they think the Singapore REITs and Asian Dividend Stocks add to portfolio resilience. I tend to be a little skeptical about this because given what kind of stocks, REITs are still stocks, Asian Dividend Stocks are still stocks, there is a likelihood when times are worse, their correlations become rather close to one another. 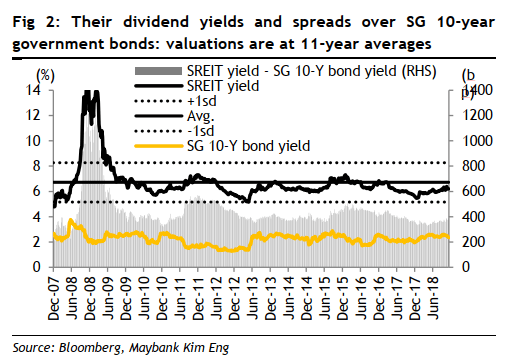 However, they have a latest historical REIT dividend yield spread over 10 year Singapore Government Bonds chart. That has always been my favorite to see where we are in terms of valuation. This is dated 8th Feb so its rather recent. And if I can next time I would share this once in a while. We observe the yield spread over the 10 year Singapore government bond yield (red line) to be turning up, which indicates a widening. 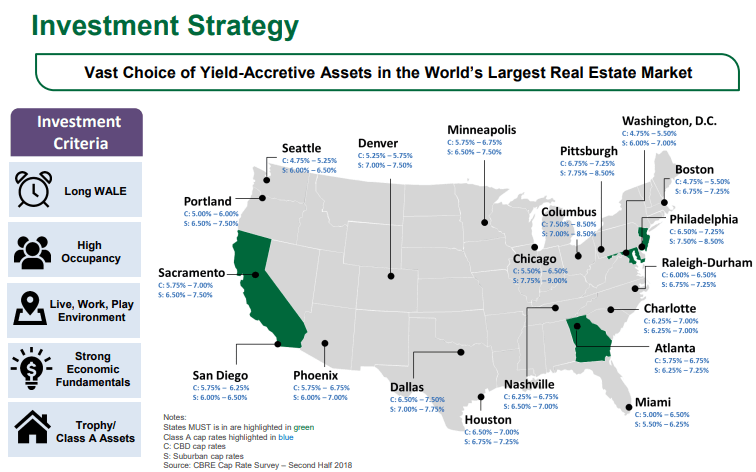 An increase of yield spread above 4% usually indicates that the REIT sector leans closer to less overvalued. The REIT’s dividend per unit rose but the price of the REITs rose more, so the dividend yield should have gone down. What caused this rise is that the government bond yields have came down more, and this is the net effect. This one only goes back to 2008 so the average and +1 standard deviation and -1 standard deviation is taken over this slightly shorter period. we can observe if it is 6.2% it is slightly closer to the bottom of the average. So largely we are not cheap not expensive. You can also see the yellow line dip as well. I think what makes investing hard is that things are not always definite. If the 10 year rate can dip so easily, it can go up pretty easily as well. One thing to note is that, you would observe that price movement usually happens before the fundamentals. That is to say, when we realize that rising rates is less of a problem, the prices have more or less ran up enough. The biggest reward sometimes always involves taking a bet on some fundamental direction. You won’t get the situation where cost is clear, everything safe, then the share price run up nicely for you. Usually, prices precede the fundamental situation. If we look at the Price to Book (PTB) of the REITs on my Dividend Stock Tracker, most are not overly expensive. Those that trade above 1 are the Strong Sponsor higher quality one. There is seldom a mis-pricing. If you think its high quality, others also think so, and so the price takes into consideration that better quality. Ok back to the DBS CIO report. One chart that caught my attention is this CBOE SPX volatility index versus the S REIT to global equities. I am not sure if this is some form of curve fitting but its fascinating how correlated these are. 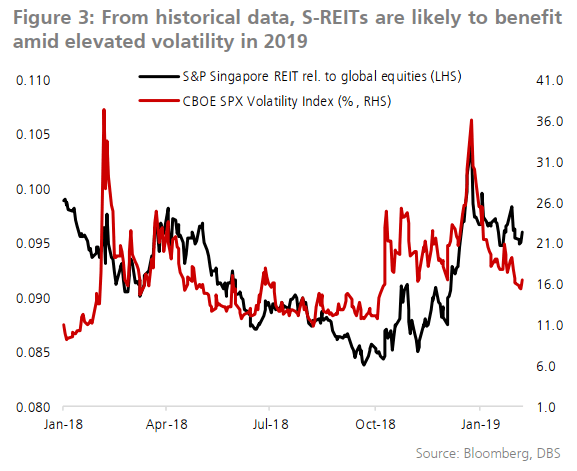 It seems to say when the volatility picks up, S REIT, relative to global equities do better. There are some things that made me gloss over this. At the start in Jan 2018, we see the disparity in the relationship they talked about. Secondly, this relationship is concluded over 1 year, which is a shorter time period to confidently conclude such a relationship exist. In any case, the CIO recommends a barbell strategy, which is both defensive and offensive at the same time. This kind of stuff is a little way over my head. I don’t like running too much of these social media stuff but my friend do have a chat group that focus on REIT discussion. I do pop by once or twice a day to take a look at it, and where I can, I try to post some of these useful analyst reports for the benefit of the group members. For most of the time, the group is rather quiet. If you are a REIT investor, and a Telegram group user, and would like to find some kindred spirits to discuss things about this, you can join via the link here. For more of my articles on REITs you can check out learning about REITs in the link below.